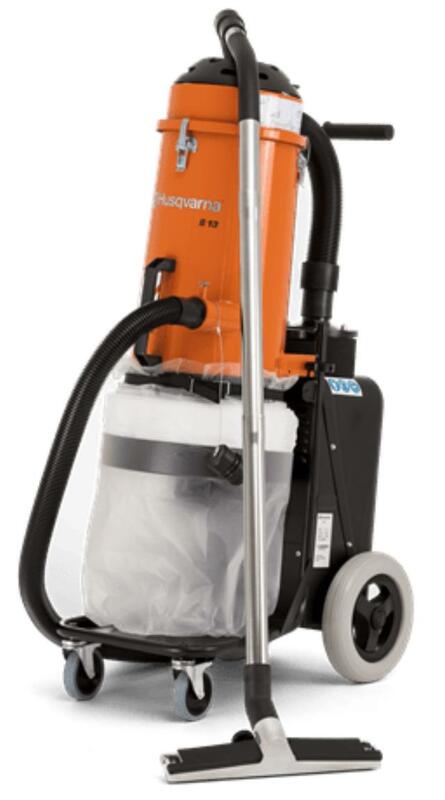 S 13 is a quiet-operating single-phase HEPA dust collector to match the power cutter Husqvarna K 3000, hand held grinders, small grinders 5-7 , small scarifiers and drywall sanders. This professional dust extractor is an all-around construction vacuum for picking-up a wide range of building materials and debris. Equipped with a tested and certified HEPA H13 filter. Features include Jet Pulse pre-filter cleaning and vacuum meter for filter control. The non-marking wheels are puncture free and lock at the front. The Longopac bag hose system ensures simple, dust-free bag changes.